It cannot be denied that 2016 was a dramatic year for the ongoing conflict between Azerbaijan and Armenia. More than 20 years of what amounts to political and literal military sniping had until 2016 seen little resolved in the ongoing conflict. Political speeches, limited military action and a steady number of casualties–both military and civilian–have failed to spur any substantive change regarding the 20% of Azerbaijani territory under Armenia’s control since 1994. Various bilateral and multi-lateral discussions have also failed to achieve any real result. It was in 2016 that everything changed. Between 1 and 5 April 2016, the ‘Four Day War’ erupted. The war finished after opposing chiefs of staff ended the conflict with a signed agreement in Moscow on 6 April. The loss of some territory back to Azerbaijan greatly irritated the Armenian Government and people. Moscow was blamed for selling arms to Baku, and despite the presence of Russian forces in Armenia, the result was that the Kremlin felt a loss of “standing” in Armenia. There is, however, a significant Russian influence beyond the military in Armenia. Ownership of key infrastructure and continuing military aid demonstrate a very strong Russian influence and stake in Armenia. 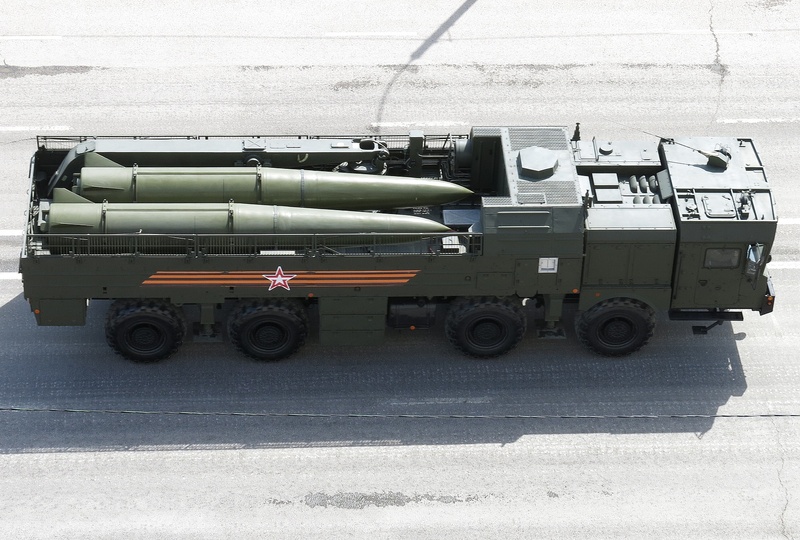 Sensing that Azerbaijan had become a little too effective militarily, Russia made the decision to, for the first time, give Iskander ballistic missiles to Armenia. This is the first and only time to date these extremely potent weapons have been provided to an ally. When they appeared in the September Independence Day parade in Yerevan, Armenian-Azerbaijani relations were profoundly altered. Before Iskander missiles were provided to Armenia, the military situation was a strategic stalemate. Better-equipped Azerbaijani forces faced Armenian forces holding key terrain and vital ground. The dominating geography of passes and difficult terrain would ensure large casualties on the Azerbaijani side in the event of an offensive attack. With the Armenian side already holding the ground they ultimately want, the strategic stalemate since 1994 has only ever been punctuated by limited military action. Even the Four Day War did little more than cost Armenia some of the less militarily important territory, but politically it was a result with far greater consequences. The deployment of Iskander has dramatically destabilised the conflict. Iskander is cutting edge technology in the ballistic missile arsenal. Iskander has a range of 500km and a maximum flight height of 50km above the surface of the Earth, it and can deliver up to 700Kg of High Explosive fragmentation, submunition, penetration or fuel-air explosive. A little more than two minutes after a launch from outside Yerevan, Iskander missiles could lay waste to the Azerbaijani capital, Baku. This represents a new scale of capability and threat that Moscow has provided to Armenia. Many would try to link the recent Azerbaijani announcement about their acquisition of Israel’s Iron Dome missile defence system to the Armenian Iskander capability, but if we are talking about an actual military response to an incoming Iskander missile, there is no link. Iron Dome cannot counter the evasion capability of Iskander, as it returns to the lower part of the atmosphere in the terminal phase and often deploys decoy missiles. If anything, the purchase of Iron Dome may have some limited tactical benefit on the front line, but it is not a realistic anti-ballistic missile. Why then would Azerbaijan have bought Iron Dome, when it cannot counter this new threat? Politics provide the answer. Regarding domestic politics, the purchase of Iron Dome by the Government of Azerbaijan is seen to be addressing the new threat, even if it cannot achieve this. With regard to international politics, the relationship with Israel is massively important for both Azerbaijan and Israel. Israel needs Azerbaijani oil. Azerbaijan needs Israel’s military technology. However, the ultimate prize for Azerbaijan is not Israel’s Iron Dome technology, but rather the recently-deployed antiballistic missile (ABM) weapon known as David’s Sling. A joint project between Israel’s Rafael Advanced Defence Systems company and the U.S.’s Raytheon, David’s Sling is one the most advanced ABM systems in the world and is generally considered the only realistic counter-measure to Iskander. David’s Sling was only just deployed to the Israeli Defence Force (IDF) this past April, so the acquisition by Azerbaijan is going to take some time, probably late 2018 at the earliest. Until Azerbaijan acquires and deploys David’s Sling, Baku and critical infrastructure, such as the oil and gas terminal facilities south of the city, will continue to live under the dark shadow of Iskander. Mass casualties and economic ruin are real threats facing the government of Azerbaijan today. The actions of Moscow have therefore destabilised what was in strategic terms a stalemate of geographical advantage versus military capability. The question thus becomes: what will happen now on the frontline? National pride and aggrievement will ensure Azerbaijan will not abandon its internationally-recognised territory currently held by Armenia under the unrecognised Republic of Artsakh. However, Baku must be aware that any military action that involves taking back significant territory could very easily result in Armenia constructing a narrative to justify a ballistic missile strike on infrastructure or population centres in Azerbaijan. Without David’s Sling, that strike cannot be stopped. Although some may consider that a special forces’ strike upon Iskander launchers, coming out of the Nakhchivan enclave of Azerbaijan, may be an option, the likelihood of direct conflict with Russian troops would be very high. This is, therefore, highly unlikely as a viable military strategy. In pursuit of restoring their ‘standing’ in Armenia, the reckless actions of Moscow have effectively undermined the overall stability of the situation between Azerbaijan and Armenia. This realignment makes it less likely that Azerbaijan would initiate strategic military action, but in the case of Armenia, Yerevan knows that until Azerbaijan can acquire and deploy an ABM system, it has the military advantage for the first time in many years. Under the Iskander threat, the economic resources and military capabilities of Azerbaijan do not give it the capability of retaking Nagorno-Karabakh. In fact, Armenia could very easily determine that, prior to the status quo returning, a strike on key oil/gas infrastructure would effectively cripple the Azerbaijani economy for years to come. Moscow undoubtedly also sees the advantage of having their energy competitor so damaged.